I'm fascinated (get it? 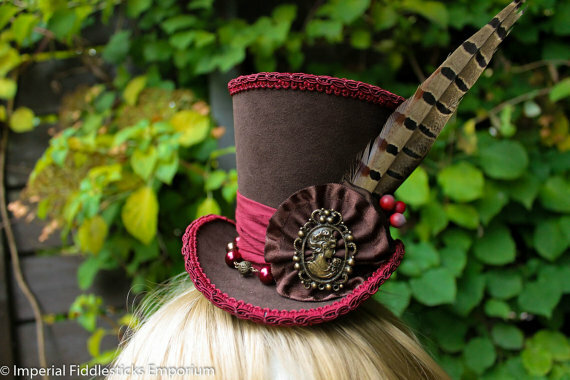 ha) by these mini top-hats from the Imperial Fiddlesticks shop. (It's located in Stockholm, Sweden). Many of you might not find them unique enough to pay international shipping from Sweden, but perhaps some of you live in Europe or even Sweden and don't mind the shipping charges for these lovely hats. 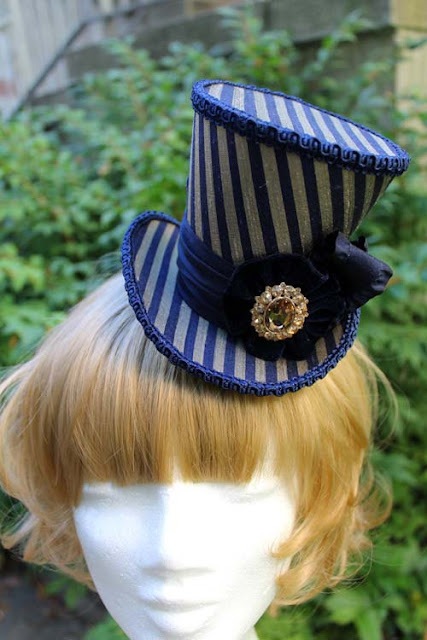 This purple striped mini top hat is called "Bernadotte Mini Wonky." It's made from silk and wire. 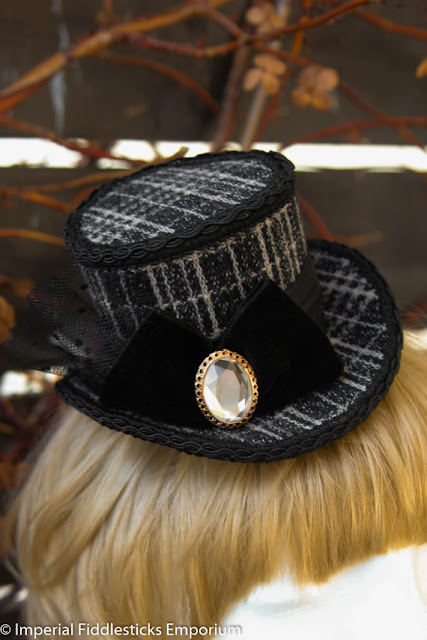 The "Zombie Revolution" mini top hat features a faux "wound" and a velvet ribbon. 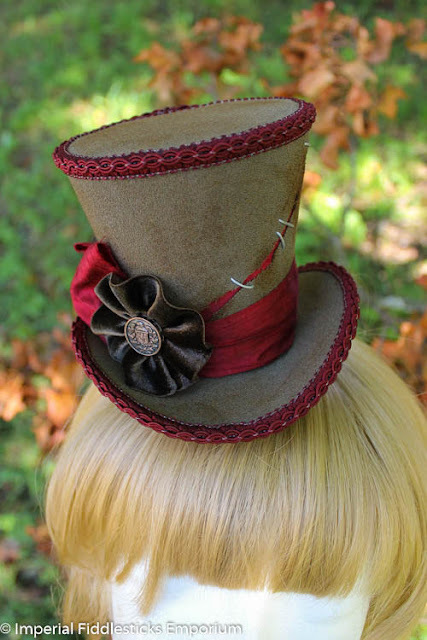 "Cranberry Woods" is a perfect hat for autumn. Love jewel tones! "The Magpie's Sorrow" might be perfect for plaid-wearing corpgoths. 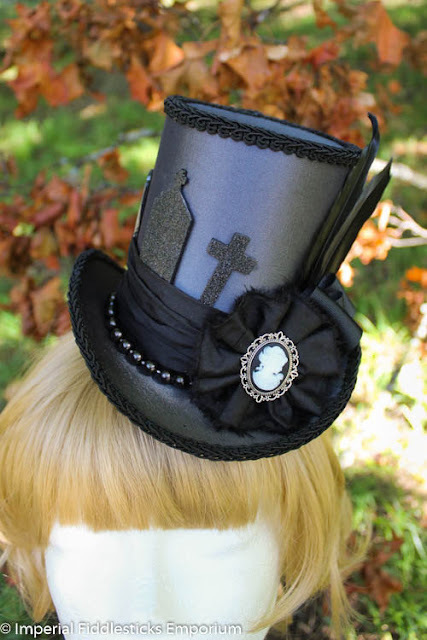 My favorite mini top hat here is this cemetery themed "Necropolis" hat. Enjoy browsing the other offerings from Imperial Fiddlesticks!